New Tunisian scarf finished, blocked and in the shop, all ready for class on November 13. 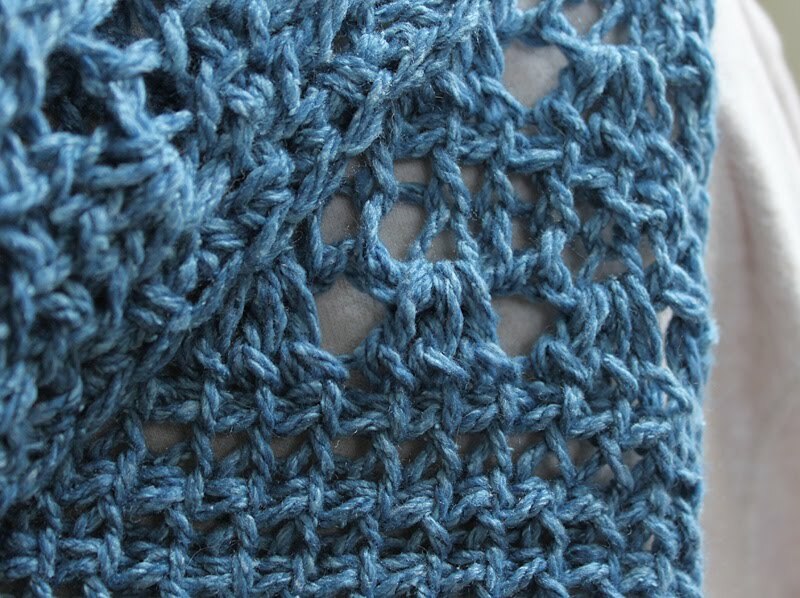 I'm calling this the 'Starlight Tunisian' scarf; pattern will be available shortly. 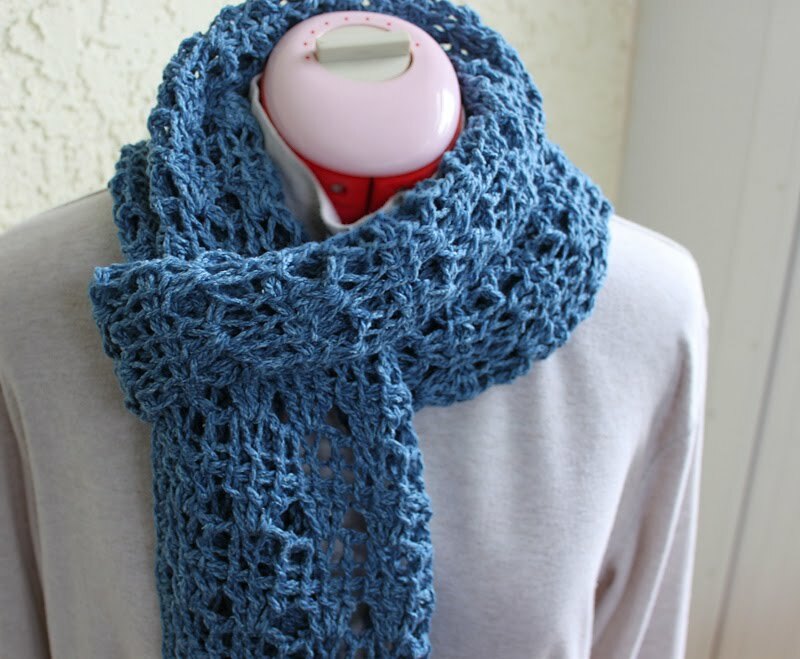 I'd planned to give this to Rach, if she likes it; textured blue wool and silk - so soft and snuggly. 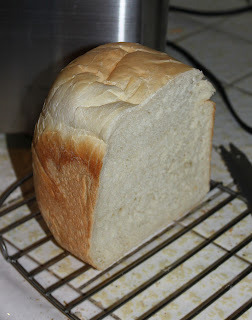 My first loaf of bread from the new-to-me bread machine a friend gave me. It smells so gooooooood. Waiting for hubby to get home from the movies before I cut into it. He better hurry - not sure my willpower will hold up much longer. My new love - bobbin lace. 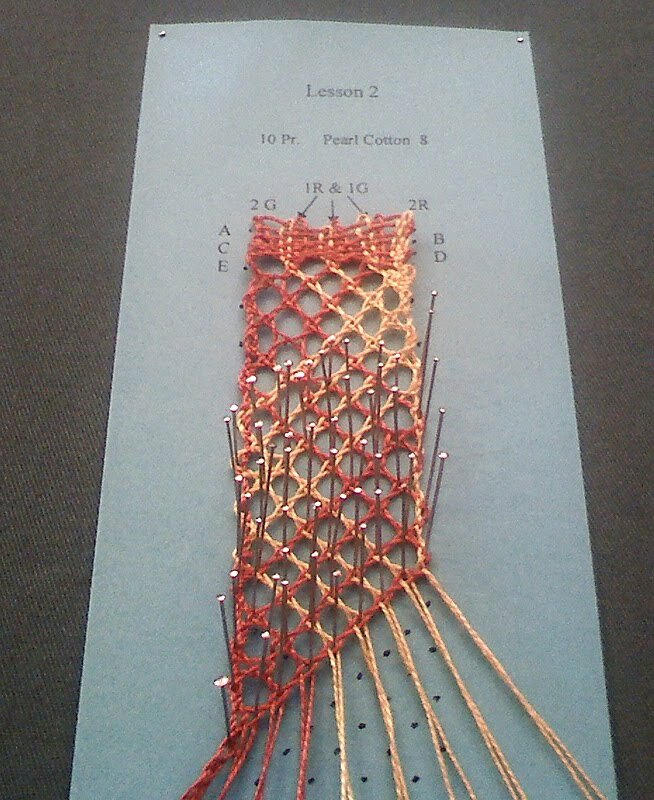 This bookmark is the week 3 project in our twice-monthly class, working on the diagonal for the first time. And I got it!! 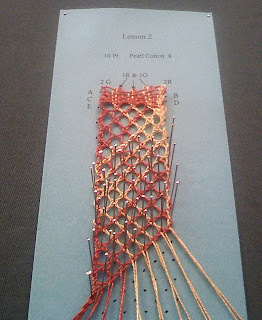 Hoping to finish this off and start another bookmark this weekend. 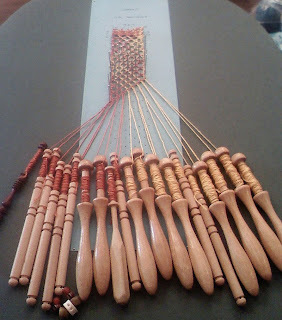 So.Much.Fun. 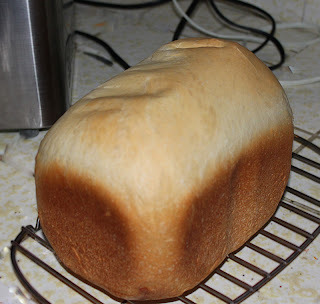 Edited to add: this is the bread, five minutes after hubby and daughter got home. Yummmmmmmmm. That scarf is an absolute stunner!